Rep. Chris Pearson (P-Burlington) is running for state Senate. Rep. Chris Pearson (P-Burlington), the leader of the House Progressive caucus who has been one of the strongest voices of opposition to the Democratic majority, is running for the state Senate. Pearson, 43, said Thursday he will run in the Democratic primary, seeking one of six Senate seats representing Chittenden County. The field is growing increasingly competitive as the May 26 candidate filing deadline approaches. At least eight people are running in the Democratic primary. 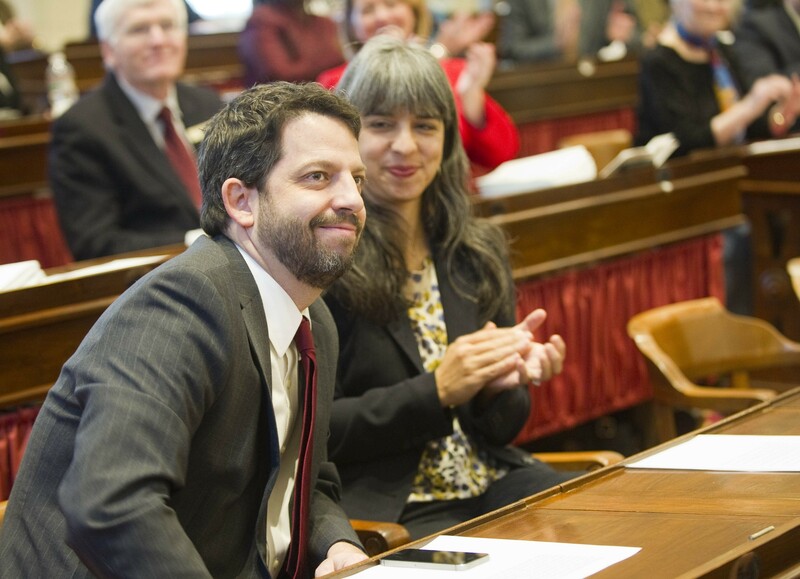 Two of the six incumbent Chittenden County senators are not seeking reelection. Winooski attorney Faisal Gill, Vermont Interfaith Action executive director Debbie Ingram and Burlington attorney David Scherr have declared their candidacies. Burlington consultant Dawn Ellis is considering a run. Four incumbents are seeking reelection: Tim Ashe, Phil Baruth, Ginny Lyons and Michael Sirotkin. Incumbent David Zuckerman is running for lieutenant governor. Helen Riehle, the delegation’s only Republican, who was appointed after Diane Snelling resigned this spring, is not running. Pearson said he sees a move from the 150-member House to the 30-member Senate as an opportunity to have more influence on issues such as climate change and health care. “I’m more interested in trying to shift the conversation,” he said. “I’m the only challenger who’s been in Montpelier,” Pearson said, speaking of his eight years in the House. A Progressive throughout his political career, Pearson will be making his first run in a Democratic primary. If he wins the nomination, he said he hopes to run in the general election on the Progressive Party line as well. It’s a strategy other Progressives — Ashe, Zuckerman and Sen. Anthony Pollina (P/D-Washington) — have used to win Senate seats. No Progressive has ever won a Senate seat without winning a Democratic nomination. Pearson said if he doesn’t win the Democratic nomination he won’t stay in the general election to run only on the Progressive line. “It’s all or nothing,” he said. Pearson said running as a Democrat is not a big shift. “It feels very natural to me to work with Democrats, formally and informally,” he said.